When times are difficult it can be hard to remember to be grateful. That's unfortunate because that is probably when you need it the most. When you are grateful you cannot be sad or depressed. When you are grateful all you can feel is happy. If you are having difficulty understanding how gratefulness can help with all the points that I listed, try the 28 day practices outlined in Rhonda Byrne's book The Magic and/or follow along with me on my journey starting at the beginning, Day 1. 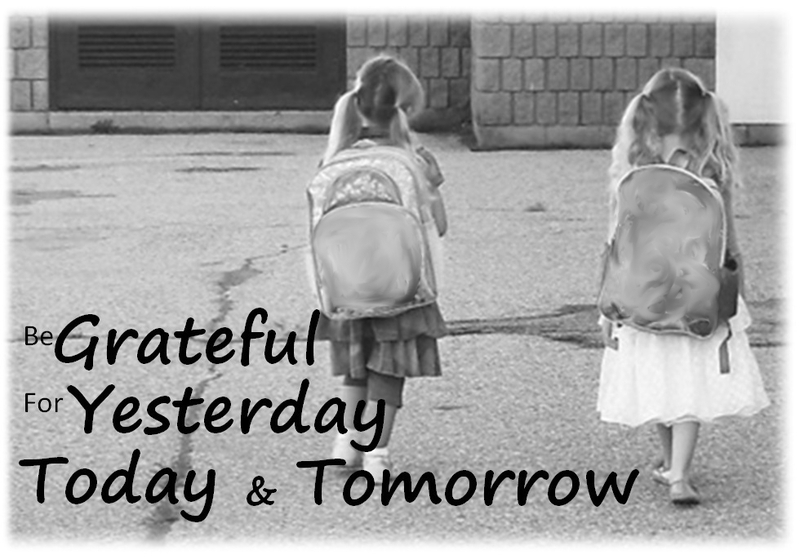 Be grateful for all the blessings you have received in the past. I am grateful that my daughters and granddaughters were born beautiful and perfect. Thank you, thank you, thank you. I am grateful to all the people who helped through the tough times. Thank you, thank you, thank you. I am grateful for all the money I have received. It came in many different forms: coupons, free stuff, discounted items, pay checks, gifts, bonuses etc. Thank you, thank you, thank you. Be grateful for all the blessings you are receiving now. I am grateful for everything and everyone in my life at this very moment. Thank you, thank you, thank you. I am grateful for the money in my pocket and in my bank account. Thank you, thank you, thank you. I am grateful for the light above me so I can see what I am doing. Thank you, thank you, thank you. I am grateful to be alive and healthy. Thank you, thank you, thank you. I am grateful for the health of my loved ones. Thank you, thank you, thank you. Be grateful for the unknown blessings already on their way to you right now. I am grateful for my granddaughter who will arrive within the next month. Thank you, thank you, thank you. I am grateful for all the money I will receive. Thank you, thank you, thank you. I am grateful to live a long, healthy and prosperous life with my family. I think my lists are good to start with. I can always add more as time goes by. Have you started your gratitude journal yet? I would love to hear about it. Maybe share a short gratitude story. That would be wonderful. And don't forget, I'd love it if you joined me on my journey, we could learn as we travel together.